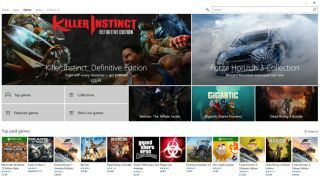 Windows 10 already offers major perks for gamers such as DirectX 12, but Microsoft is planning to bolster the OS further with the introduction of a ‘Game Mode’ that prioritizes system resources for games to enable them to run more smoothly. First of all, we should note that this isn’t a confirmed feature yet, but rather the mode was spotted by well-known Microsoft tipster WalkingCat who discovered a new DLL file (gamemode.dll) in a leaked preview of Windows 10 (build 14997). He’d previously made noises about the existence of a gaming mode a couple of weeks back. According to WalkingCat, it appears as if the mode will allow Windows to adjust resources allocated to the processor, graphics card and so forth to prioritize games, giving them better performance. Again, note that this is the source’s opinion as opposed to any hard-and-fast info, but Windows Central’s sources have also said that the feature will work much like the Xbox One’s handling of running a game – whereby the console rejigs resources to make sure the title works as smoothly as possible. And obviously it makes sense that a Game Mode would do this. After all, what else would flipping such a switch do, save for ensuring that games run better. The word on the grapevine is that this mode is set to arrive with the Creators Update for Windows 10 next spring, so hopefully it should turn up in the preview versions of the OS soon enough. That’s not guaranteed either, though, and we could be waiting longer – the timeframe is looking a little tight now, considering this isn’t even in testing yet. Fingers crossed that it arrives sooner rather than later for gamers, of course. Windows 10 is already far more popular with gamers in comparison to the general computing population, as those monthly Steam surveys show – over twice as popular in fact. And the introduction of a tailored mode to prioritize resources for gaming is certainly not going to hurt the adoption of Microsoft’s latest OS.